not a coward’s creed, but a constructive, realistic policy based upon British interests, and a search for European peace and harmony, a policy that evolved from a courageous, bold one to one increasingly marred by doubt and uncertainty. “On 4 August 1914, following Germany's invasion of France and Belgium, Britain declared war on Germany. …On that day, amidst the anguished cries of 'why? ', appeasement was born. Educated people in all walks of life, and of all political beliefs, knew that war between Britain and Germany was a tragic thing, that many lives would be lost, trade disrupted, society disturbed, empires threatened, and the international scene poisoned by hatred and recrimination. They determined that, when peace came, it should never again be broken; that all disputes should be settled without war, and all legitimate aspirations willingly granted. 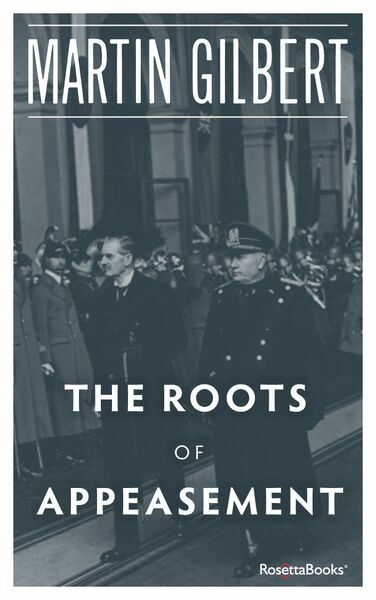 “The arguments for and against appeasement were never simple ones, nor did the debate which raged with acerbity for twenty years fall into any clear categories of 'right' and 'wrong'. My aim is to examine the wide range of the appeasement argument, and to show that appeasement, both as an attitude of mind and as a policy, was not a silly or treacherous idea in the minds of stubborn, gullible men, but a noble idea, rooted in Christianity, courage and common sense.